Yes, Texas Tech makes it tough on people. One more clamp-down job like this and the Red Raiders will be D-ing up in the Final Four. Jarett Culver’s 22 points were a mere subplot in third-seeded Tech’s 63-44 takedown of No. 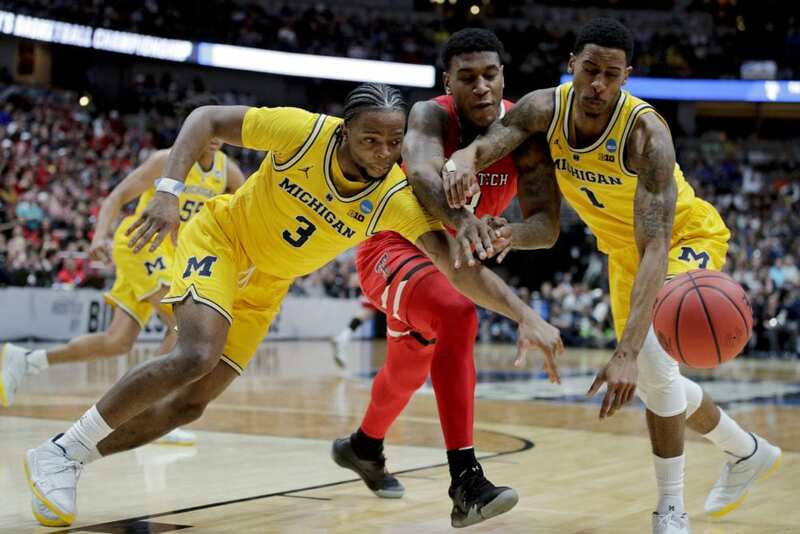 2 Michigan in the West Region on Thursday night — a victory that set up an intriguing Elite Eight showdown against Gonzaga, which boasts the country’s leading offense. Texas Tech (29-6) is back to this point for the second straight year thanks to a shut-down job of epic proportions. The Raiders held an efficient-if-not-spectacular Michigan (30-7) offense to 16 field goals, 32 percent shooting and only a single 3-point basket on 19 attempts — a clanker by C.J. Baird in mop-up duty that drooled in with 21.8 seconds left. 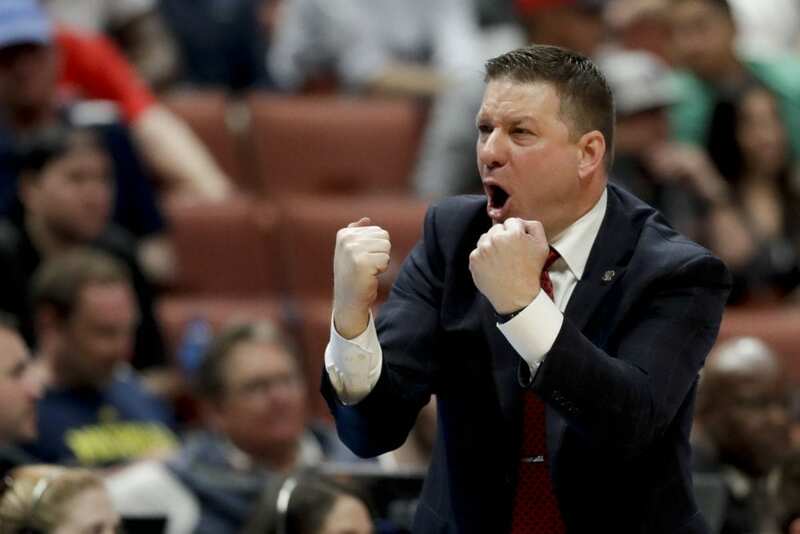 “We guarded at a high level,” coach Chris Beard said. Only five players scored for Michigan, which was led by its brash playmaker, freshman Iggy Brazdeikis, who finished with 17, most of which came well after the game was out of hand. There simply wasn’t anywhere to go against a lanky, athletic Texas Tech defense that succeeds by clogging the middle, then forcing teams to either move the ball toward the baseline and settle for jumpers with people in their face, or try to attack the rim, but pay a price while doing it. Michigan has the nation’s second-best defense, and nearly 9 minutes into the game, the score was tied: 6-6. “At the media timeout, (Assistant coach Mark Adams) was, like, ‘We need to make an adjustment,’ and I was like, ‘Coach, they’ve scored six points. We need to get a basket,'” Beard said. Texas Tech got its share. Michigan did not. 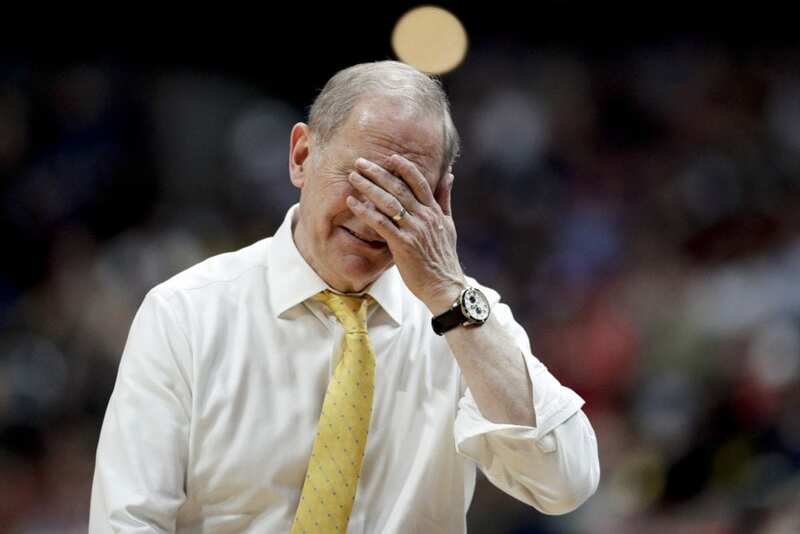 Watching the score get out of hand, Wolverines coach John Beilein, one of the best tacticians in the game, called a timeout early in the second half to try to get a shot, a possession, anything, that might generate something for his team to build on. Moments later on the other end, Culver sent an alley-oop pass to Tariq Owens, who dunked so hard, the ball went into the band section. It made the score 36-18. By that point, the lead might as well have been a million. Michigan scored its 20th point on the next possession, when Jordan Poole looped an impossibly high banker just out of reach of Owens — off glass and in. There was 15:31 left in the second half. 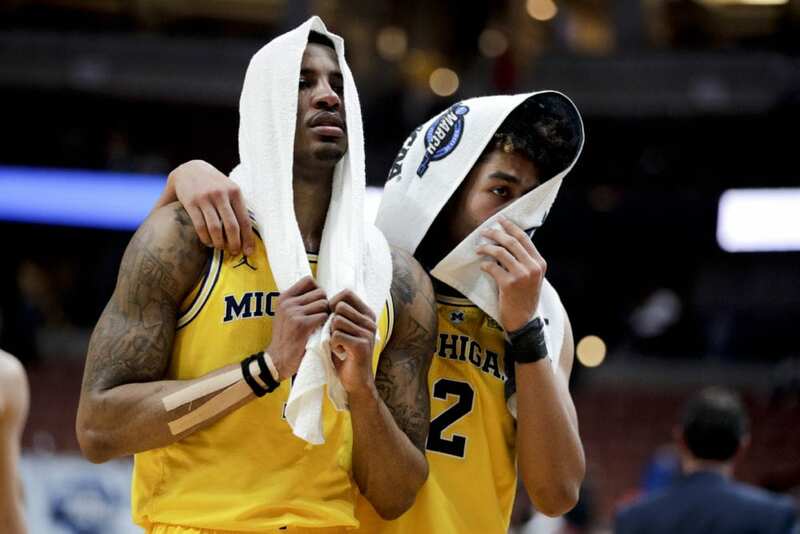 “There were a lot of things we worked on in two days of practice, but we couldn’t get far enough to make a difference, because that team practiced that defense for six months,” Beilein said. Culver, a sophomore, is projected by many as an NBA lottery pick. Beard joked with him during the victory press conference. The only Michigan player outside of Baird who made at least half his shots was Poole, who went 4 for 8 for eight points. With the game winding down, some in the Texas Tech crowd chanted “Overrated.” Beard wanted none of that, and signaled to them to cut it out. 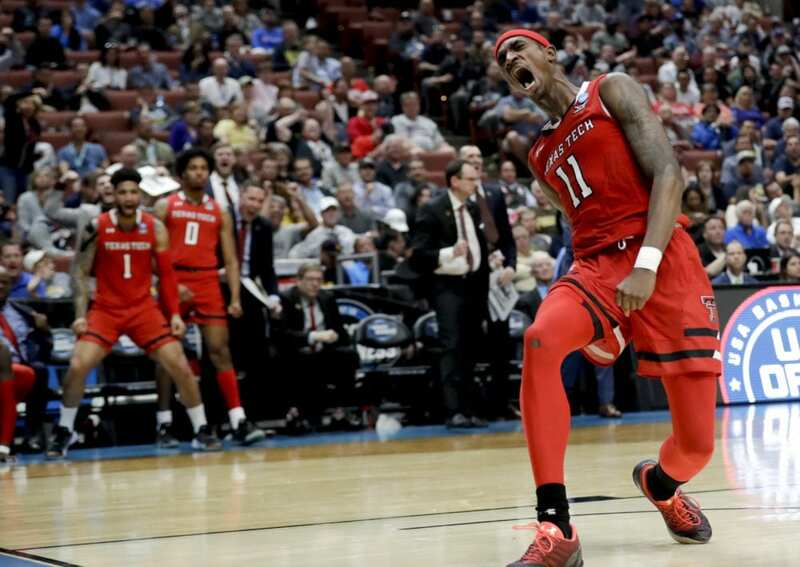 Texas Tech makes its second straight Elite Eight appearance, this time against top-seeded Gonzaga on Saturday. 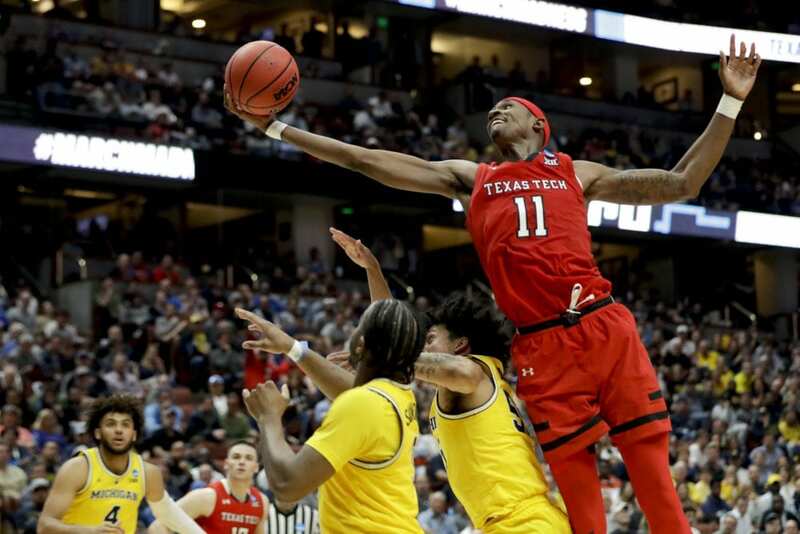 Be the first to comment on "D Up: Texas Tech Clamps Down In 63-44 Win Over Michigan"